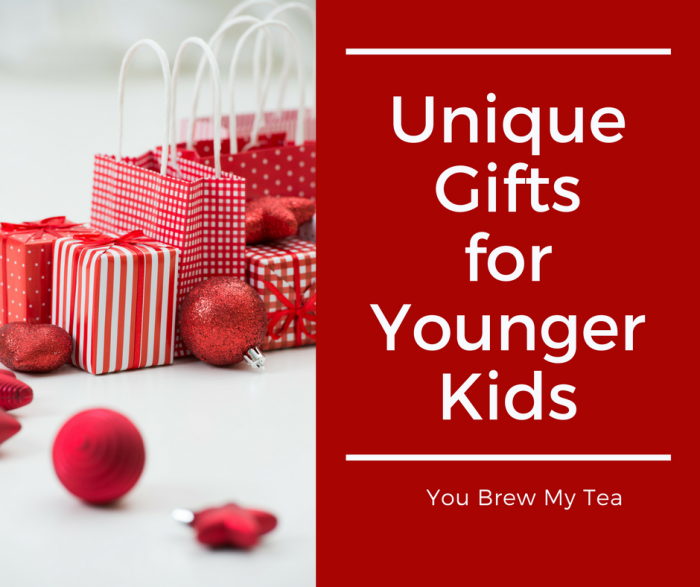 We are always looking for Unique Gift Ideas for Kids, and this list is perfect for the younger child on your list this year. When we hit the Chicago Toy Fair a few weeks ago, we learned about some great toys and games that are ideal for gifting. This list contains some of our favorites from there, as well as classic ideas that everyone loves. This post contains affiliate links. When you make a purchase through one of these links, I may receive a free item or earn a small commission. Our goal with this list is to help you pick out gifts that won’t just end up being thrown away or broken in a few weeks. Below is a list of things that will be used over and over again, and will be cherished items your kids love. After visiting the Chicago Toy and Game Fair, we found tons of gift ideas for kids that are different than we have featured in the past! Antsy Pants is such a great brand that offers fun play sets that are great for multiple ages. 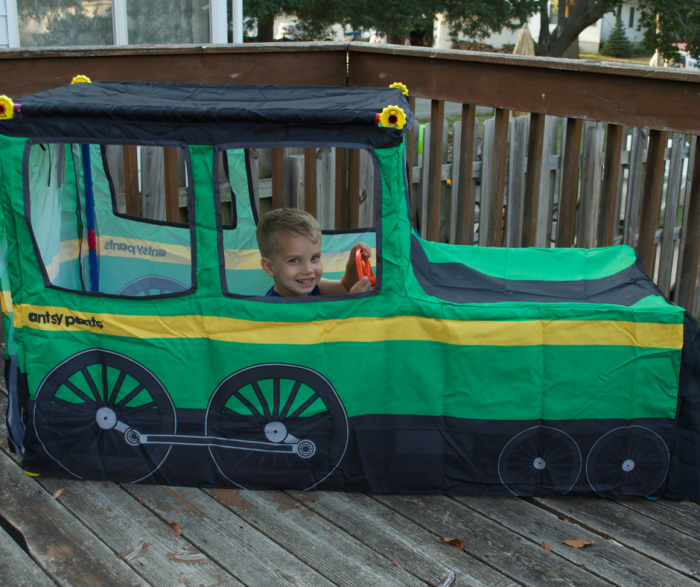 Creating a fort in your living room has always been fun, but these kits include things like a pop-up train tent, a lemonade stand, and more. Perfect for creative play that occupies your kids for hours. Our friend Emilee got to check out the train kit with her children and loved how easy it was to assemble! We all know the power of things like Playdough or slime. This takes things to a whole new level. This PlayFoam is great for younger kids with less mess than other mediums. It comes in multiple colors, is ideal for sensory play, and just tons of squishy fun. From an early age, playing games is a big part of life. One of my favorites has always been UNO because even the youngest of children can usually play along with the rest of the family. 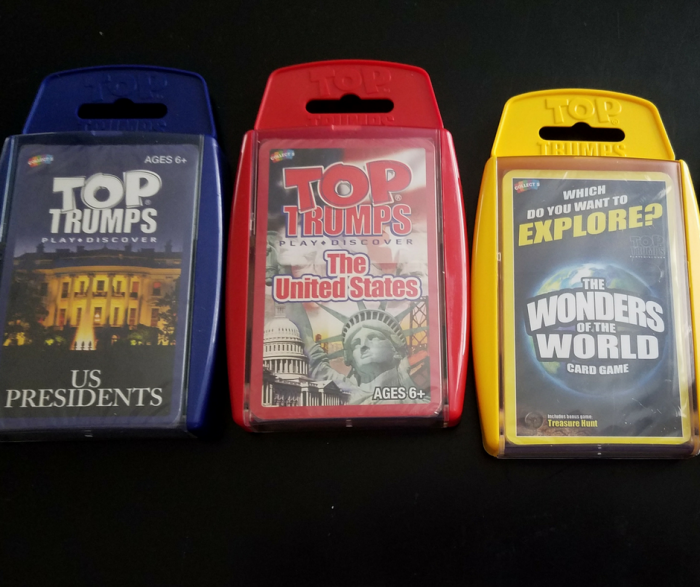 It’s a perfect starter card game for the younger crowd. LEGO and LEGO Friends are excellent choices for kids of all ages. With different sizes (Duplo) available for the youngest crowd. I much prefer getting the big tubs of mixed Lego pieces so kids can create on their own, but there are tons of fun Superhero Lego Sets that kids will love because they remind them of their favorite heroes. We have a complete list of great LEGO Building Sets if you want to check out some of our favorites. Melissa and Doug is a name well-known in the kid’s education and toys. There are many different puzzles to choose from, and most don’t feel like “school” to kids. 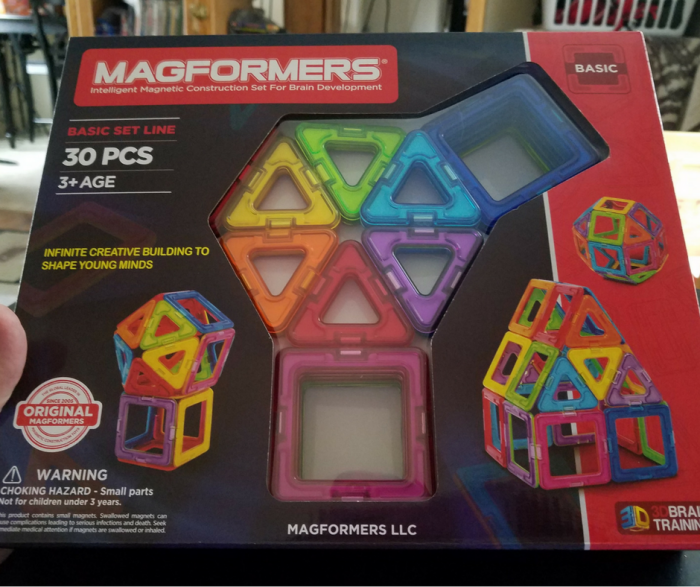 We loved the lacing and fine motor skill puzzles when our son was younger, but they have classic puzzles, games, and even activity sets that are ideal for older kids. We love the Melissa and Doug Activity Rug for the whole family, but the Melissa and Doug Lacing Animals, and Peg Puzzles are budget-friendly for anyone. This is another favorite option for all ages. We met up with these guys at Chicago Toy Fair and played with some of their classic pieces that are often overlooked. They have some great curved pieces that allow kids to connect and make things like cars, trains, or even buildings that don’t have the pointy or sharp edge we are used to seeing. The magnetic interior makes them ideal for fast easy play and really helps develop kids imaginations. Start with the Magnaformers Classic Set and add the Magnaformers Vehicle Wow Set for even more creative fun. These are so much fun! Another big hit from our recent trip to the Chicago Toy Fair. They are a simple card game that allows you to compare stats on each players cards. The person who has the highest chosen stat wins that round and takes the other person cards. The goal is to be the one with the most cards at the end of the game. There are ones for Paw Patrol, DC Comic Heroes, Star Wars, Harry Potter, Dinosaurs, and more. While I would usually recommend this for older kids, I have found many recently that are ideal for the younger children to enjoy. 3D image books are tons of fun for kids to figure out. They can spend hours just looking for that hidden image. One thing that many kids love is their own “adult” item. I have found that a nice sturdy digital watch is a great addition to a stocking for kids. Since they are relatively inexpensive and often come in Marvel Comic, DC Comic, or Disney Princess themes, you can find one to fit any kids personality. They learn some responsibility and feel grown up. We specifically love the Vtech Kidizoom Smartwatch. Our son had one a few years ago and adored it! For young girls, having a locking diary was a huge thing when I was a child. Bring back that fun custom by buying a special journal or diary, and some pretty pencils or pens for them to write down about their day. There are tons of fun Diaries for Kids to choose from. Getting your child a unique Christmas ornament each year is a great way to build a collection for them to have when they grow up and move out of the house. The bonus is that you can match the ornament to their favorite things each year, and track what they loved as they grow up. Plus, they love adding their own to the tree. I am hoping someone gets me the Trolls Movie Ornaments this year. Little Passports is a favorite kids subscription box! Each month your child receives a box with fun activities and interesting things from a different location around the world. It’s ideal for homeschoolers to add to their geography lessons, but perfect for any child who likes to learn about different cultures. Of course, we have to add our favorite books to the list. There are so many amazing authors out there and classic children’s books. We love Stuart Gibbs for the chapter books he offers, and of course, you can’t go wrong with The Magic Treehouse, Curious George books, or any superhero book. I had a Teddy Ruxpin when I was a kid and absolutely loved him. This animatronic bear is a great way to get kids excited about reading. Loaded with stories that are ideal for your child, they can snuggle up with Teddy and listen to him read to them. Another classic that often gets overlooked. Twister is a great game for kids to play. So much fun to twist and turn and try to reach all of the right dots! Whether you pick up some of the newer Trolls Movie themed merchandise or the classic dolls we had in the 1980’s, these are always tons of fun to add to a stocking. This is such a fun idea for kids! 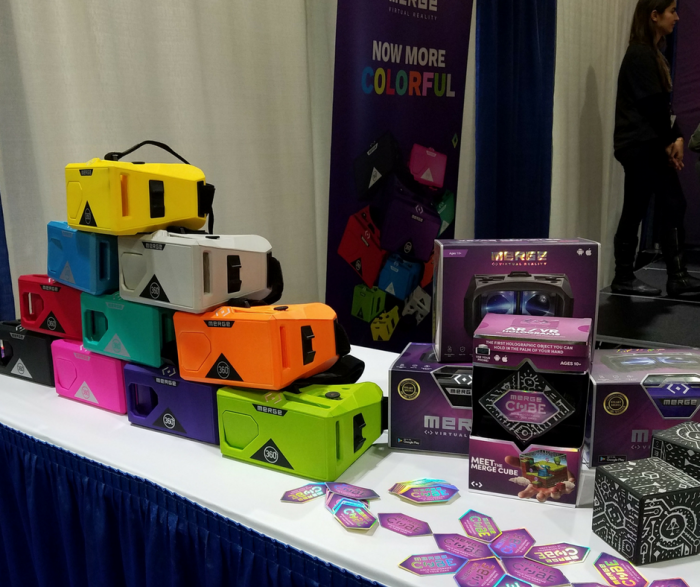 This MergeVR virtual reality cube connects to an app on your Android or iPhone and helps kids see things in a virtual world. It’s so fun, inexpensive, and great for kids. They will stay occupied for hours, and you’ll love the educational options on the app. There are tons of options out there for a kid-friendly digital camera or camcorder. Check to see the suggested age ranges, as well as the best battery power. We love the Vtech Kidizoom Action Camera, but there are other great options out there to suit your kid’s needs. 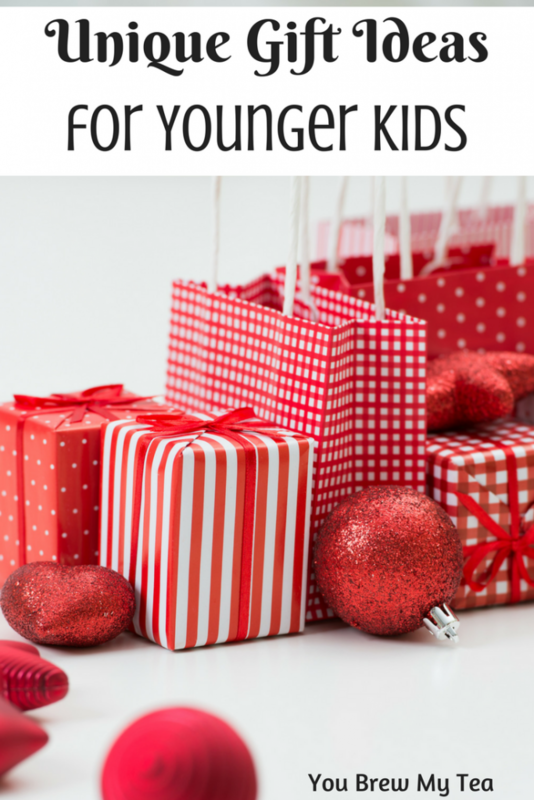 This list of gift ideas for kids is full of fun things we know your child will love to play with this year. We’ve tried to include items from all price ranges. Hopefully, you’ll find something on this list that will be a great addition to the tree this year. Thank you, Katie, for your review of and great pics from our Chicago Toy & Game Fair! Hope to see you next year!